I’ve been home sick in my pajamas for most of the week, and as comfy as I’ve been, I could use a change of pace. 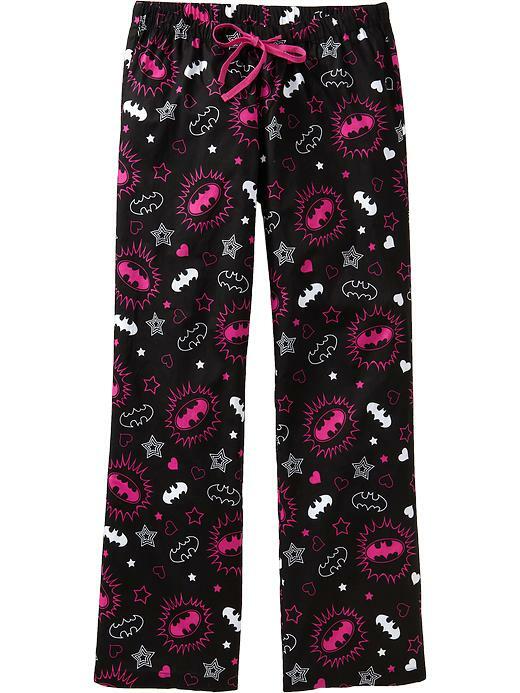 That’s where these Batman (or Batgirl, if you prefer) pajama bottoms come in. They’re geeky, awesome, and include accents of bright pink. How can you go wrong? Of all places, these are currently available at Old Navy, and are on sale for $14. Pair it with a bright pink tank top for an awesome slumber party outfit or a way to cheer yourself up while sick. Anyone else sick? What’s been cheering you up? I recently learned the wonders of whiskey in your tea. I highly recommend. Too cute! I need a pair of girly, nerdy pajamas!